﻿ H10 London Waterloo Hotel London. JIMAT di Agoda.com! 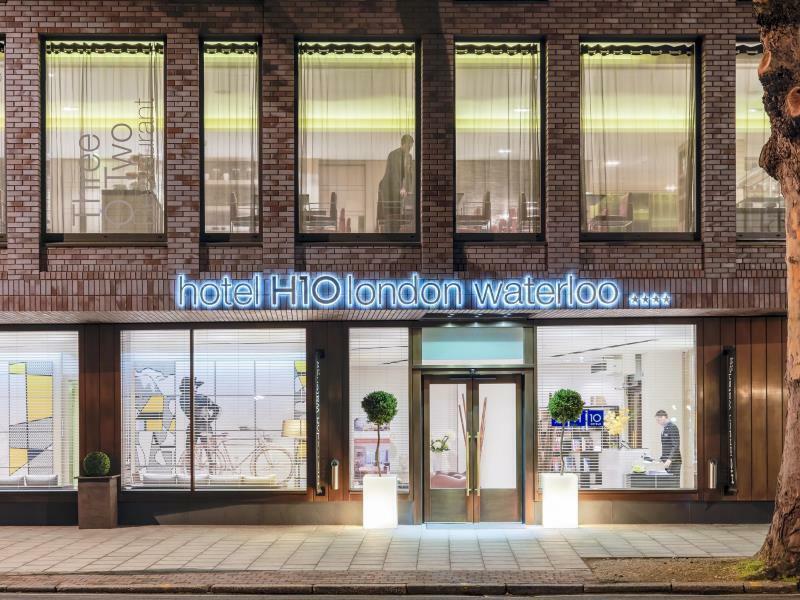 Ada soalan mengenai H10 London Waterloo Hotel? Dibina pada 2010, H10 London Waterloo Hotel merupakan tambahan menarik di London dan satu pilihan bijak bagi para pelawat. Terletak 1. Km dari keseronokan bandar, hotel 4-bintang ini terletak di lokasi yang sangat baik dan menyediakan akses kepada tarikan terbesar di bandar. Untuk pilihan bersiar-siar dan tempat daya tarikan tempatan, pelancong tidak perlu pergi jauh dari hotel kerana ianya berdekatan dengan Muzium Perang Imperial, Not the Royal Academy, Gramex Classical and Jazz. Kemudahan dan perkhidmatan yang disediakan oleh H10 London Waterloo Hotel memastikan penginapan yang menyenangkan bagi para tetamu. Hotel ini menawarkan pelbagai kemudahan di lokasi untuk memuaskan hati tetamu termasuk yang arif. Semua bilik tetamu menawarkan pelbagai jenis tahap keselesaan. Banyak bilik turut menyediakan almari, teh percuma, tuala, lantai kayu/parket, selipar untuk memuaskan hati tetamu. Hotel ini menawarkan kemudahan hebat, termasuk pusat kecergasan, sauna, rumah urut, untuk membantu anda berehat selepas hari yang penuh aksi di bandar. Temui gabungan yang menarik antara perkhidmatan profesional dan pelbagai kemudahan yang ada di H10 London Waterloo Hotel. Jika tempahan dibuat untuk 6 bilik atau lebih, polisi berbeza dan tambahan akan dikenakan. Sky Bar akan ditutup pada Hari Sebelum Tahun Baharu 2019. We stay in H10 for 6d5n in London , Good location to bus station , good breakfast and facilities , overall is good ! Value for money , very satisfied! Spent our final 5 nights here after our Euro trip and it was wonderful. Staffs were friendly, room is spacious, clean and very comfortable too. Short walking distance to all public transportation's such as the subway, buses etc. Staying this side of Waterloo station used to be restricted - was very pleased to have found this, great staff and for my needs the perfect location and extremely comfortable hotel - view from the Sky Bar was cool as well! It was my first time ever in London and I really wanted to ensure everything is right. I'm from Japan, and in Japan, it's all abt cleanliness. When I entered the room, beds are nicely made. The toilets are perfect (so clean and very new) .. I couldn't hear other guests so the night was quality sleep. The wifi was excellent I had a great night using my phone for business email. Will come again for sure! We had a five night stay and thoroughly enjoyed it. The whole hotel was very modern and the rooms very clean and comfortable. There was minimal external noise at night, so sleeping wasn't a problem. It had everything we needed - ironing board/iron, mini fridge, air conditioning, etc and was within walking distance to multiple tube stops, train stations and bus routes to get us around London and beyond. The staff were very friendly and helpful with any issues we had. Highly recommended hotel and we'd consider staying there again if we're in London. Price is good if booked way in advance. Otherwise outs a normal price for such a nice hotel. Bus tour stops right in front of hotel. You can purchase ticket from them irs a pancake deal from bus company at stops. We asked the maintenance as the bathtub is broken, after 3 times advice finally someone came, without fixing it and they didn’t change the room, just said they are fully booking. 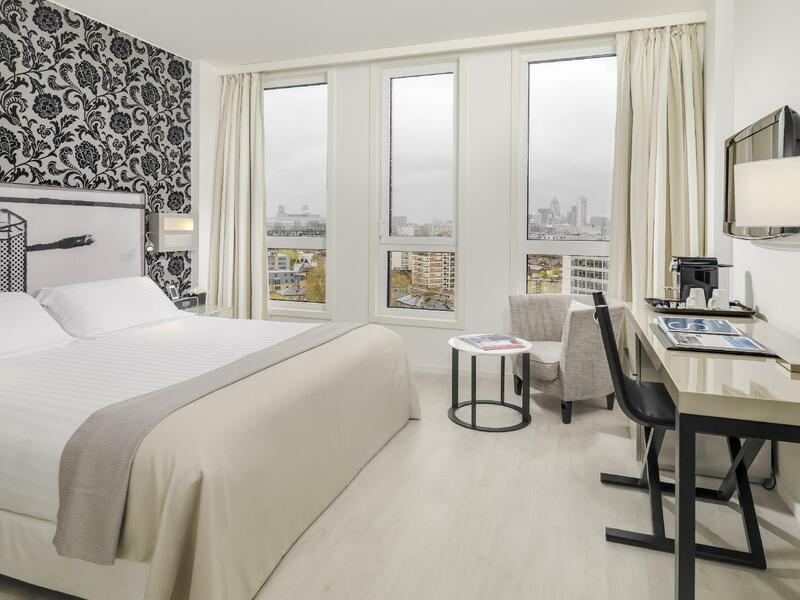 Friendly staff, handy for Waterloo Station, comfortable rooms. I've stayed before and will stay again. The room is clean n tidy . The breakfast spread is good. 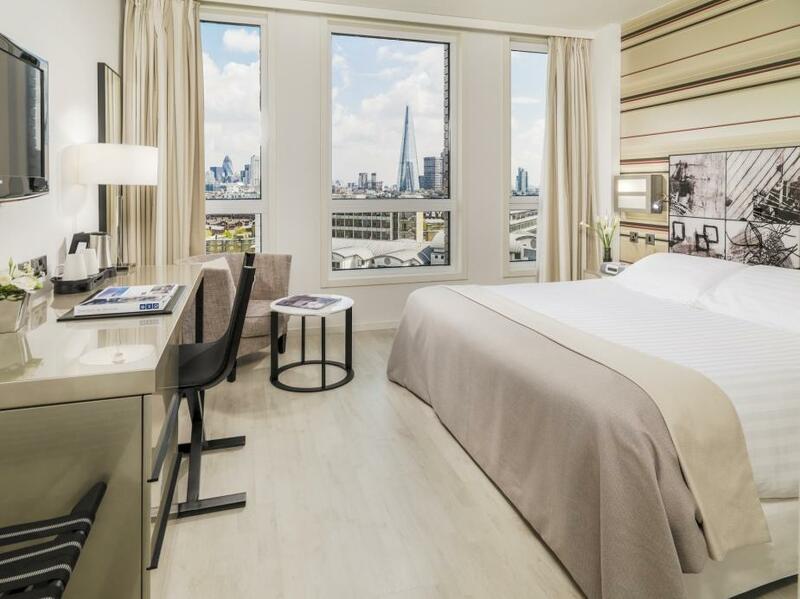 Within 6-7 mins walk to Waterloo Station. Door is thin and can hear the noise from the corridor clearly. 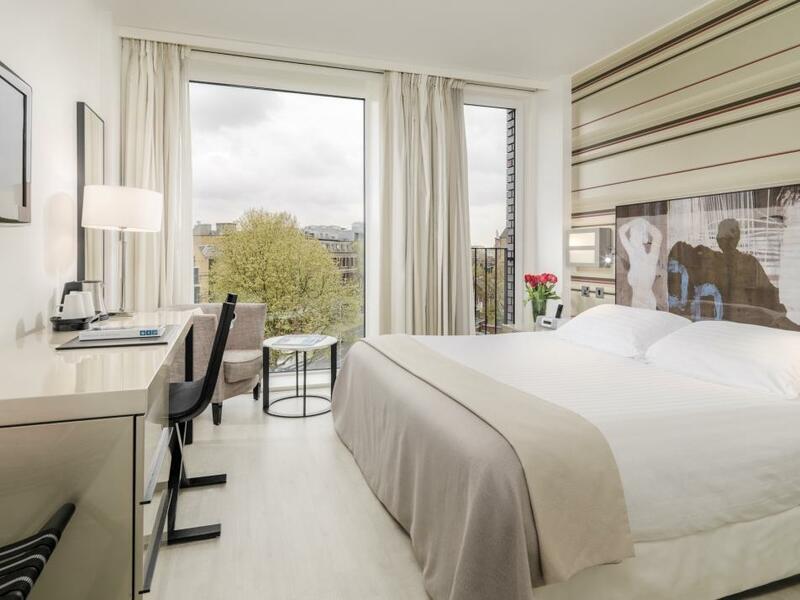 Close to Imperial War Museum and walking distance to London Eye. Great location, walking distance to Borough Market, London Eye and Waterloo Station. Convenient walking distance to bus stop and metro station! Room spacious and clean. Definitely will stay again next time! 2nd room was freezing. Hotel gave me blanket. Windows let cold wind in. Told I could have breakfast but not another room. Hotel full. Looked online - rooms available. Agoda got me another room much better. Warm at last. Hotel is meant to be 4 stars. Is this a one off? Eat in restaurant as so late moving around . Good food. We checked into this property twice, on two consecutive weekends. The first weekend everything in our room worked fine and we had no problems. On the second weekend we had several problems. The room safe didn't work and we had to ask three times to get it fixed. On our last full day the cleaning staff did not clean the room and we had to ask, again three times, to get the cleaning staff to do their job. We had hoped to use this hotel as our go to spot in London but, no more. Was told there was a taxi flat rate of £50 to the airport, that is not the case. Everything else was fine. There were big tour groups that met in the lobby, which became quite crowded in the mornings. Pro are the staff meet you with a refreshing drink upon arrival and are very helpful with questions on the sights around the hotel....however the staff at the rooftop bar are really course and uninviting...trying to take pictures of the sunset and they kept tell the guest to leave the patio because it was closed !